Installing or need cell signal booster installed in your commercial fleet vehicles? Submit info for quote to install cell phone signal booster kit nationwide by professional installers. Best Cell Signal Strength Solutions for Vehicle Fleets. One of the main issues that face fleet vehicles today is inability to maintain strong signal strength in a world that is primarily based upon cellular devices. From smartphones to apps which are used for logistics and other operational day-to-day functions, businesses are becoming more dependent upon the use of cellular devices. The problem that arises is that with increase in cell devices, networks either get overloaded during peak hours near congested roadways and highways or the cell towers are too far to maintain continuous connection in a moving vehicle. The result is a diminished wireless signal. Even in urban areas, where towers are more plentiful, cellphones may experience a lag in reception and signal strength due to tall concrete buildings that block signals. Add to this the connectivity issues due to "dead zones" and transitions from one network's boundaries to another, and you can easily see the frustrations which meet fleet-based companies today. We provide best professional signal boosting solutions for growing need for connectivity in commercial company vehicle fleets. Vehicle Cell Signal Booster Professional Installation Service. To assist in gaining the best use of smartphones and other cellular devices, FCC's highest allowed power mobile signal boosters are professionally installed in all types of vehicles that exist in company fleets. Your fleet-dependent business deserves the best quality signal enhancing equipment that we provide combined with highly experienced installers. We have capacity to boost wireless signal strength in all types of vehicle makes and models in your fleet. 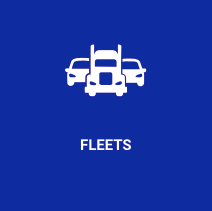 This upgrade to the vehicles in your fleet would allow you to maximize the usage of tracking apps, logistical apps, purchases, as well as supportive functions such as vehicle tracking, mile logging, and maintenance notifications. Options available to increase cellular devices signals are battery-hardwired cell signal amplifiers with secure on-roof drilled-in NMO antennas that can withstand high winds, extreme temperatures, and low hanging branches of trees. Should you need assistance in determining the best cellular booster mobile booster for your business, please contact us to talk with any of our professional cell phone signal booster technicians. They have the knowledge and expertise to answer all your questions regarding clean and secure installations that our lead installers and second in command installers perform with great confidence. When people think of fleet vehicles, they immediately have images of large trucks carrying supplies from one end of the country to the other. However, that is not the only form of fleet vehicles that can benefit from commercial vehicle cell phone signal boosters. While the trucking industry was once the primary form of fleet vehicle, today we have vastly more fleets combing the country carrying sales people, goods, services, and so much more. Here're just some of the types of fleets that would benefit from using this specialized wireless signal enhancing technology. Delivery companies are much more than standard USPS trucks delivering mail to local residences. UPS, FedEx, and even large scale home stores such as Home Depot and Lowes utilize delivery drivers. Nationwide deliveries have become the norm as more people turn to shopping on Internet as opposed to buying from local brick and mortar stores. It was estimated in 2000 that only about 22% of all consumers shopped online, but that number has significantly grown in recent years with almost 80% of consumers now shopping online. These numbers prove that as online shopping expands, the need for delivery drivers equipped with the latest in commercial fleet cell phone signal booster technology is greatly increased as many of these deliveries take place in the most remote locations. Having access to GPS and live updates through hands free cell phones is essential as some of the deliveries may take place on less traveled routes without optimal cell towers. I event of GPS signal loss, mapping data can be accessed through Internet via mobile data. However that back-up mobile data signal needs to be strong which is where cell signal boosters for commercial vehicles can help. Owning your own vehicle can be a great expense. As costs such as insurance and fuel are always on the rise, many vehicle owners have chosen to abandon that added expense and instead turn toward utilizing taxi cabs or utilizing Uber or Lyft for their transportation needs. All of these services have the ability to take users throughout large and small cities. While such areas tend to have plenty of cell towers, obstructions such as skyscrapers and even smaller concrete and metal obstructions block credible cell signals. A cab, Uber, or Lyft driver fitted with a commercial car cell phone signal booster is better equipped to provide expert service to their customers with ability to access the latest travel delay reports and road conditions. It is estimated that the vehicle rental business is a thriving $24 billion industry and growing each year. Rental companies are always on the lookout for how they can stand out in this ever growing area of business. Supplying a vehicle rental fleet with the latest commercial SUV cell phone signal boosting technology allows customers to always have access to a quality cell signal giving them peace of mind that no matter where their off-road travels take them, they will be able to contact family and friends or get help when necessary. It also allows them to have contact with the rental company should they require help in regard to the rented vehicle. Among the top vehicle rental companies available is Enterprise. They continually rise far above other brands and are known for introducing new, innovative technology into their rental vehicles. The company currently maintains over 600,000 rental cars with an additional 135,000 noted as fleet management vehicles. Similarly any rental vehicle company can equip their vehicles with the latest in commercial automotive cell phone signal booster technology providing constant communication for drivers and their employers. Deliveries and car rentals make up a significant part of the fleet industry, but we cannot forget about the need for utility workers in cities and towns across the world. Electric companies, gas providers, HVAC services, water line repair services, plumbers, and so many other services are out on service calls and are in true need of a quality way to communicate wirelessly with customers and employers. Commercial utility truck cell phone signal boosters provide excellent quality signals in populated areas of big cities, but a huge portion of a utility service's business is comprised of those who live in the rural areas devoid of adequate cell towers. A utility service that utilizes this wireless signal improving technology throughout their fleet have the ability to reach customers and provide optimal services without having to wait or drive farther to get a signal. Police, Rescue, and Fire Departments. Among the more important fleets in the world are those out saving lives. Public safety vehicle fleets are driven by Police, firefighters, EMTs, and other rescue crews. Such public safety personnel must be in constant communication while driving to ground zero. There's practically no limit to where such brave men and women will have to travel to assist those in need. Equipping such public safety fleets with the latest cell signal boosters allows better mobile communication no matter where or how far the service professional or first responder has to travel. Better cellular communication means that more lives can be saved. What information do I need when seeking a quote? The mobile carrier whose service you need to enhance (AT&T, Sprint, T-Mobile, Verizon, Bell, Rogers, Telus, etc). The type of fleet vehicles and their makes/ models that require cellular signal amplifier kits installed. Please specify if the vehicle will be brought to our location in Houston TX, or if we would need to travel to your location. If travel is needed, please let us know if the vehicles will be at one location or several locations. Also, please let us know if the vehicles are located within or outside of our location state of Texas. Alongside above, you will need to include the company contact information as well as any vehicles which already have a previously installed signal booster you wish to replace. We offer industry leading 60 days money back guarantee. This is separate from the manufacturer's 2 years warranty on signal amplifying products for repair or replacement due to defect(s). Why should I use SignalBooster.com for my installation and quote? SignalBooster.com not only offers the products which your vehicle fleet needs, but also offers reliable information to help you choose the appropriate cellular booster kits that will be most durable and cost efficient. On top of this, we offer competitively priced in-vehicle fleet signal boosting equipment at the best value with incorporating installation cost. As a bonus to your quote on product information and installation service, we offer lower costs to those who purchase their products from us. While we're more than willing to help with installation of products from other vendors, we encourage that you purchase your cellular NMO antenna signal booster kits as well as schedule the installation of these antenna boosters from one location. This not only ensures that you get professionals who are competent in the specific product you are installing, but also minimizes any delays you may experience between shipping and installation of the product (especially if you bring your vehicles in-house to have the installation service done as our warehouses and our installation facilities are within close proximity to one another). Our Vehicle Cell Phone Signal Booster Installers Have Real World Experience. Choose Experience & Quality over Inexperience & Poor Quality: Our certified and trained in-vehicle cellular amplifier installers have real world experience with ability to fine-tune signal amplifier kits to provide optimum reception. We're experienced in installing in-vehicle signal boosters nationwide and have one of the largest network of professional fleet signal booster installers. All of our installers are certified to tune signal amplifying kits to yield maximum Gain for optimal signal strength. Furthermore, our installers are bonded wireless signal amplifier installers. We're fully capable of performing the most challenging in-vehicle installations, and believe that no job is too big. In addition to consumer grade signal boosters, we also carry commercial grade signal boosters, and the most powerful industrial grade signal boosters. If you wish to know more about the professional commercial or industrial grade high performance cellular signal boosters offered through us, please feel free to contact us through the correct form on this site, or by calling us directly at 1-855-846-2654, or through our website's live chat. We look forward to making your in-vehicle cellular signal strength more reliable through the sales and professional installation service of our high performance cellular boosters. Should you have any questions about our consumer or commercial vehicle signal enhancing products and/or commercial fleet vehicle signal booster installation service by certified installers, please contact us through the avenues listed above or submit your details for a vehicle cell signal booster installation quote, today.